Vanad (Sanskrit: वनद) is a Hindu Indian popular masculine given name, which literally means "cloud and bestowing, longing, desire, desirable or rain giving" in Sanskrit. Vanad finds reference in Lexicographers, esp. such as Amarasimha, Halayudha, Hemacandra where this word refers to rain-giving, a cloud. The name Vanad is not adopted by any person in the USA as the name of their kids. 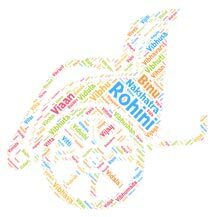 According to the data gathered from social networking sites, this name is not popular. 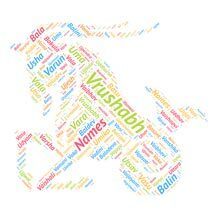 The Hindu baby name Vanad is sweet and rare. Vanad is also a nice name and it has a nice meaning attached to it. Vanad has a good mythological background. Ancient Sanskrit name Utkarsh (Sanskrit उत्कर्ष) means impro..
Tejas (Sanskrit तेजस) is the ancient Sanskrit boy name which..
Sanskrit name Ketan (Sanskrit: केतन) literally means a home ..
Means 'accept, to agree to or approve' in Sanskrit.